I am a skilled motivational speaker and presenter of technical, non-technical and leadership subjects. I can speak to your group or business on subjects such as leadership, technology and society, information security, presentation skills plus a variety of other subjects. I will tailor my presentation to your needs or I can help you write and deliver your own presentation. I recently decided I wanted an outdoor security camera but I didn’t want to spend much money. After a bit of research I found a bargain camera that includes a bunch of features. 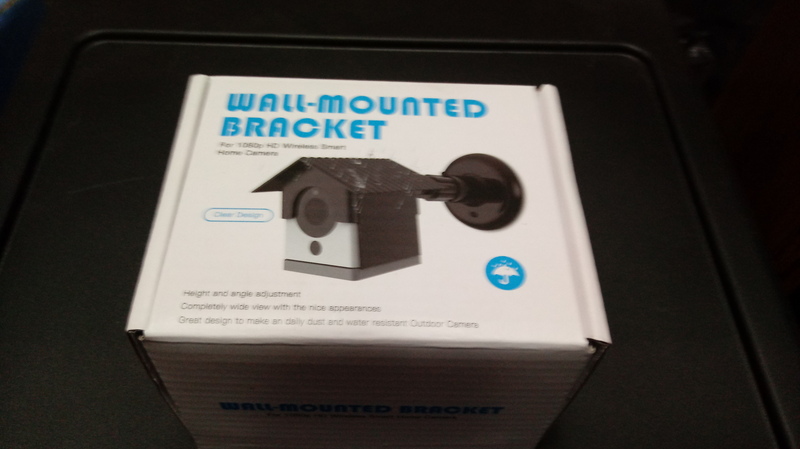 The Wyze Cam can be purchased for $19.95 plus $5.99 shipping. The camera has two way audio and includes 14 days of cloud storage. The camera will upload 10-15 second video clips every time it detects motion. If you want to store continuous motion or more than a 15 second clip, you will need a micro SD card. The camera supports up to 32 GB. The camera out-of-the-box is not suitable for outdoor use. You will need an enclosure. I bought one on Amazon for $16.99. The camera is powered by a micro USB/USB cable plugged into a power adapter. If you want to use the camera outside, you will probably need a longer cable than what’s included. The camera is a bargain does just what I want it to. It sends me an alert to my android phone every time it detects motion in my driveway. I can view the clip from the phone. The camera also supports iPhones. Next, I plan to set up another cam at my front door. When someone comes to the door, I can see who’s there and even ask what they want without needing to come to the door. The company I work for has been sold. Most of the technology associates expect to lose our jobs in the upcoming months. Fortunately, the companies are offering a generous severance package. As the days counted down towards business close, we were also offered in-house professional training on a variety of subjects, many of which included vouchers for certification tests. Due to low demand, CISA training was not available for in-house training but the company offered to pay for independent study classes. The company would reimburse us for the certification exam if we passed. I took several of the instructor led classes and was approved for an independent study class for the CISA. I selected the CISA class from Alan Keele at www.certifiedinfosec.com. The class is a self-paced 180 day subscription at a cost of $449.95. He does offer a free trial lesson consisting of a pre-assessment test, training class, and a post-assessment test. I found the trial was a good representation of the general courseware. Keele’s training consists of assessment tests and narrated slides. One of the nice things about the class is the instructor is available to answer questions via phone or email. The instructor promptly answered emails, and promptly responded to a voice-mail I left. The class is broken down into the five CISA domains plus an extra series of lessons for “Consolidated Business Continuity and Disaster Recovery Topics”. Each domain consists of multiple lessons, each with assessment tests and a final assessment test for each domain. The class offers four final exams consisting of 150 questions each (As of this writing, the CISA exam is 150 questions). You can take the assessment tests more than once, but the order of the test questions will vary each time you take the test. The final exams are random questions from a pool – each time you take the final exam you will get different questions in a different order. The recommended passing score is 95%. I passed all my assessment tests with 95%+ but did need to take a few more than once. My final exam scores ranged from 85-93%. The material seemed to be geared towards helping the student answer test questions. The slides are narrated and consist mostly of a bunch of test answers without the questions. When I spoke with Keele on the phone, he told me that was the strategy for helping students pass the exam. Since the exam is multiple choice, if the student could recognize the answers, the student will be able to recognize the answer even if the questions were unfamiliar. The CISA test is multiple choice – only one correct answer per question. The assessment questions from the class are in multiple formats including multiple choice, true-false, matching, and “select all that apply” (multiple answers for a question). Although not all class questions are multiple choice, the instructor told me his question/answer format is an easy way of combining multiple questions into one. After the student answers an exam question, the instructor would provide text and narrated answers. In most cases, the instructor read the correct response, but did not provide much of an explanation. In some cases, the instructor would point out questions and answers that were plain silly and that ISACA’s answer is not always the same the way as an experienced professional would answer. I noticed this when I took the test and I’ve heard the same thing from other people who have taken the exam. The wording on the narration and slides were quite formal. This format was useful for some of the test questions but not helpful for a true understanding of the material. I found myself going to Youtube to get a better understanding. In my search, I found a series of short lessons from Hemang Doshi. Doshi has a very thick accent and my first inclination was to stop watching and look for another video. I decided to watch his video and found his video very helpful for an understanding of the material. Doshi’s videos do an excellent job of explaining the concepts in very simple terms. He uses a keyword approach – “if you see this keyword”, then “look for this answer”. Doshi’s videos are simple – a question, keyword, answer approach compared to Keele’s formal approach. I found both classes together to be instrumental in my passing of the exam. I did find the practice tests and material from the two to be very similar, but the approach used in the lessons were quite different. Doshi also has a mostly free site. The site consists of videos, flash cards, study material with assessment test for each domain, and a final 150 question test covering all domains. The site also has a “30 day strategy for CISA Success”. The 30 day strategy is a series of 10-20 questions to be taken one test per day over a period of 30 days. He asks for $30 for the “30 Day Strategy” to be paid upon passing the exam. No credit card or registration is required to take the lessons. Just pay after you pass the exam. I opted for this training, but in hindsight the site offers so many practice tests, it probably wasn’t really necessary to take the 30 day strategy. Since I did use the material and passed my CISA, I did pay the $30 upon receiving my score. The site is supported by pop-up ads and I received virus warnings when some of the ads displayed. The site itself seems to be fine but the pop-ups may not be. 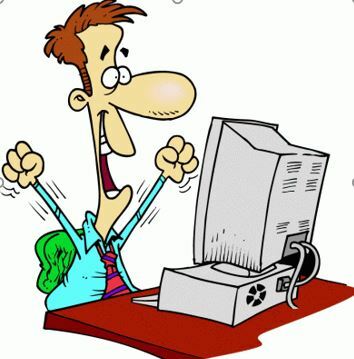 My recommendation is to have a good virus checker and close the pop-ups before they have a chance to populate. I would have recommended a pop-up blocker but the practice tests don’t work properly with a pop-up blocker on. 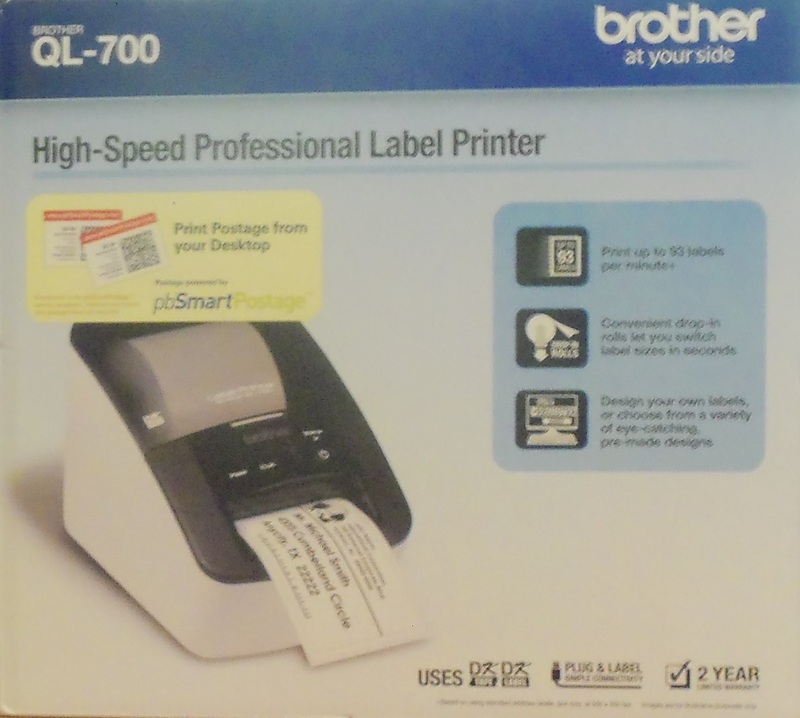 I recently purchased a Brother QL-700 label printer on sale at Staples for $39.99. A pretty good deal. As I was reading through the promotional material, I discovered that I could sign up for the Pitney Bowes pbSmartPostage service for no monthly subscription fee. I’ve always wanted to be able to print my own stamps, but I could never justify paying a monthly subscription fee. This was my chance. I went to the Pitney Bowes site to sign up. Hmmm, there’s nothing here that lets me sign up without paying a fee. It took a Google search to find the “free” sign-up link. That’s. I went to the site and was redirected to the sign-up URL. Sign-up was pretty easy, It didn’t ask even me for a credit card. Just enter a few personal details such as name, email address, and physical address (no PO Boxes allowed). I don’t know if I did something wrong, but during the process it said they were going to send me a free welcome kit, then proceeded to display an invoice showing $0.00 for the welcome kit with $10.00+ shipping charge. How are they going to get the shipping charge from me? Didn’t ask me for a credit card. Well, they never charged me but they never sent me the kit either. Now that I had access to the site, I was able to get an idea about how the plan actually worked. I already knew I had to buy my label rolls from Pitney Bowes. The choices at this time are $17.99 for 200 labels or 39.99 for 1000 labels. Plus tax. Do the math. $17.99/200 + Tax = more than $.09 per stamp. The other options are less expensive but still add quite a bit to the cost of the stamps. The labeler detects the kind of rolls, so the software won’t let you print stamps on “unapproved” rolls. You do get ½ cent discount on postage but the discount does no good when you’re paying such a high price for the supplies. If you’ve seen pictures of the printed stamps, you may have noticed an orange stripe at the top that says pbSmartPostage.com. The stripe comes pre-printed on the rolls. That’s fine for the stamps, but if you intend to print both stamps and labels on the same roll, then your labels will have the orange stripe too. The alternative is to switch rolls every time you switch between labels and stamps. I later learned that you can buy stamp sheets for $7.49; 5 sheets, 25 labels per page, 125 labels in all. You can print the stamp sheets on a regular laser printer. The gotcha is the sheets come with serial numbers. In order to print on the stamp sheet, you need to enter the serial number of the sheet. You end up paying for the “free” service by paying and inflated charge for supplies. If you pay the hefty charge for the fee subscription, then you can print the stamps directly on the envelope and avoid the hefty charge for the stamp rolls and sheets. Ordering supplies is relatively easy, just enter your credit card number and order. Pitney Bowes didn’t charge me for shipping, but they did add tax. I ordered the $17.99 roll on the weekend and it arrived in the mail on Thursday. In order to pay for stamps, you need to fund your account. When you click on “Add Postage”, it will tell you have no funds. You can set up a Reserve Account or enter your credit card information. THEN you can fund your account. It gives you several options for funding with specific dollar amounts of $20, $50, or $100 or you can enter your own amount. BUT… the amount needs to be in even dollar amounts and it won’t let you enter an amount less than $10.00. It does maintain your account in ½ cent increments. When I printed a single stamp, it decremented my account by 46 ½ cents. I was really disappointed when I discovered the available postage classes were very limited. It allows various types of first class mail up to 3 ounces and media mail. That’s it. One of the main reasons I signed up is so I can print Priority Mail stamps. Tech support informed me Priority Mail requires a bar code, and bar codes go on the address label. Since the basic service doesn’t print address labels, no Priority Mail. If I knew then what I knew now, I probably wouldn’t have signed up for the service. Printed stamps are very expensive, and the types of mail you can send are very limited. The only thing you MIGHT get is the convenience of not having to go to the post office to buy stamps.